He could well be Viswanathan Anand’s greatest gift to Indian chess yet. The five time world champion has done wonders for the Indian chess scene over the last 30 years ever since he became the country’s first Grandmaster. Over and above all his numerous achievements Anand is remembered as a role model and a mentor. No one in Indian sport has played a greater inspirational role than Anand and this is underlined by the simple fact that since he broke the barrier there are now nearly 50 GMs and almost 100 IMs in this country. India is ranked fifth in the world rankings behind Russia, China, USA and Ukraine. 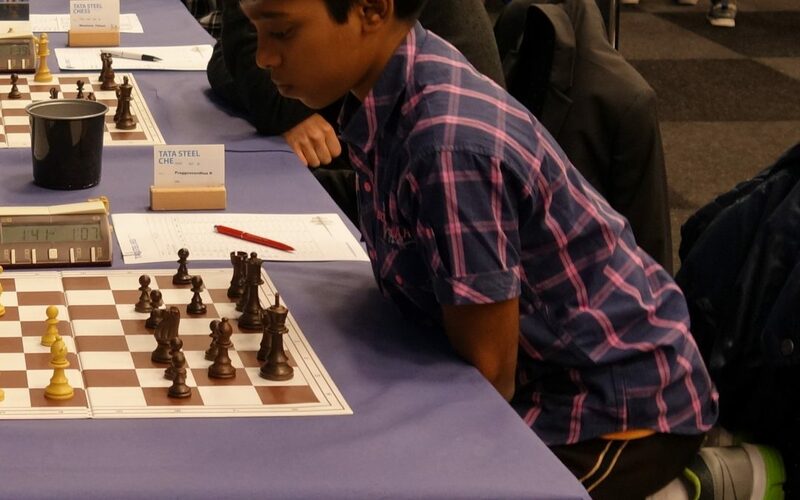 The Anand effect has produced world champions from under-10 to the junior level. Boys and girls want to be the next Anand. And now has burst upon the scene one who indeed bids fair to become the next Anand. It may be a tad premature to be making such statements when the lad in question is just 12 years old. But not when we are talking about R Praggnandhaa who has just become the second youngest GM in the history of chess. Think of Indian chess and you think of Anand. Think of Indian chess and you think of Chennai that was Madras for the southern metropolis is undoubtedly the chess capital of the country. And so it is but fitting that the latest chess prodigy should also come from this city. Praggu as he is popularly known has it in himself to go places. He has already spoken of his next target – to be the world champion no less. Even if such talk can be shrugged off coming as it does from someone so young what cannot be dismissed is the assessment of his coach Grandmaster RB Ramesh. “If he keeps raising the bar and stays focused I think he has the potential to be a world champion in ten years, or even less’’ says Ramesh. It was Anand who recognized Praggu’s potential. In an interview about a year ago he spoke of him as one of the most talented players in the country. “He has a bright future. He is very talented and is on the right track.’’ Not unexpectedly Anand was quick to hail his prodigious feat. “Welcome to the club and congrats Praggyananandhaa. See you soon in Chennai,’’ he tweeted from Paris. Sergey Karjakin of the Ukraine holds the record for being the youngest GM at the age of 12 years and seven months in 2002. When he achieved the feat Praggu was 12 years, ten months and 13 days going past Uzbekistan’s Nodirbek Abdusattorov who was 13 years, one month and 11 days when he became a GM last year. .
Praggu in fact ended the tournament in Italy on a high winning his final round match to finish first on points with Ivan Saric (7.5 out of nine) but had to settle for second place under the tie breaker system. Ramesh who started coaching him four years ago says Praggu spends eight hours a day on chess and remains mentally fresh. Praggu has an elder sister R Vaishali who is an IM herself. His parents Ramesh Babu and Nagalakshmi who introduced him to the sport five years ago are also a source of encouragement. A very young boy who is aware of the areas in which he needs to improve can only go places. As it is with the GM title behind him Praggu can play a bit more freely. Moreover his feat will give him more visibility in Europe. Indeed he is already billed to play in a tournament in Spain next month. The one factor that Praggu will have to guard against is the weight of expectations. There will be tremendous pressure on him after what he has achieved. Anand who became GM at 18 is aware of this and emphasizes the point that he will have to keep improving and sharpening his skills. “He has to be aware that people will start making him a target now that he has made a name for himself.’’ Fortunately Praggu has got an early start and has the time to make the necessary preparations. This topic contains 0 replies, has 1 voice, and was last updated by Kalyanaraman M 10 months ago.